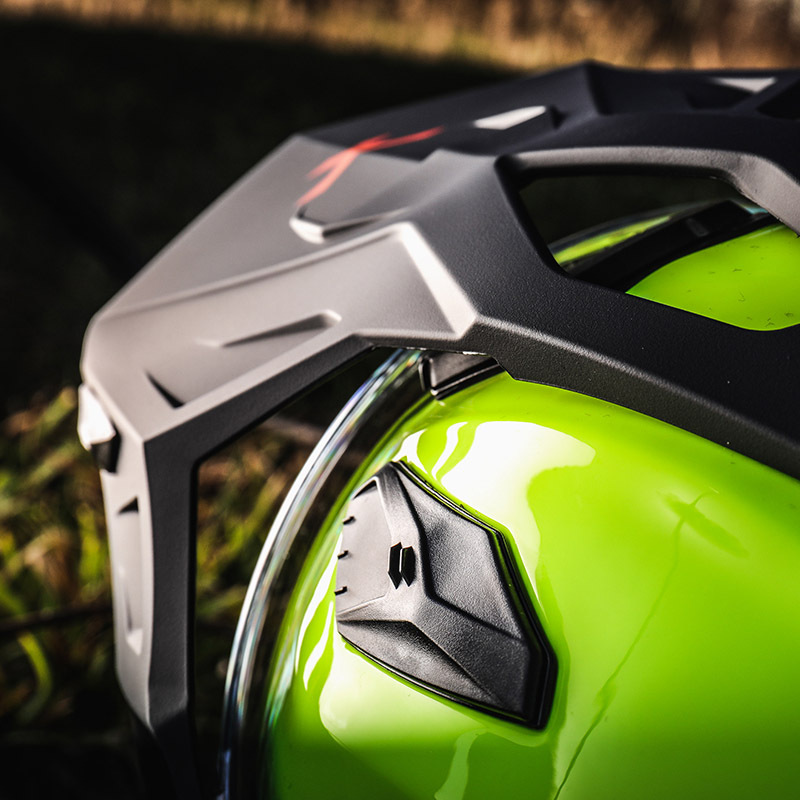 Having swapped bikes from a BMW S1000RR to a KTM 1190 Adventure R, and having picked up some very positive vibes from adventure biking Facebook groups about this Nexx helmet, I jumped at the chance to review one. 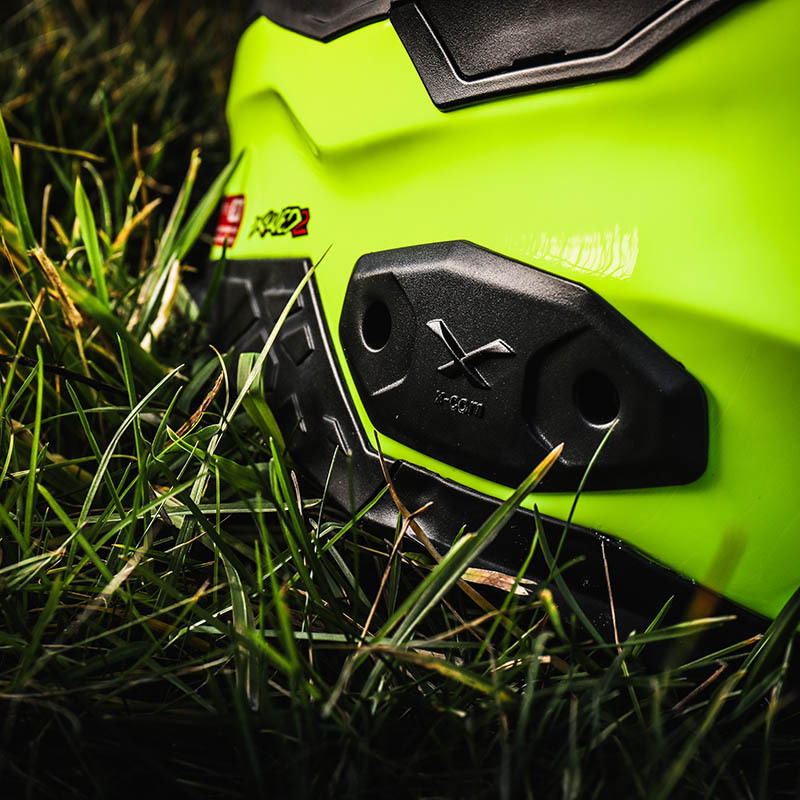 The Nexx X.WED 2 is in the same family as their X.WST 2, which is the same helmet but without the peak fitted. 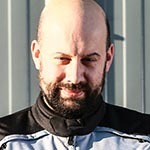 The benefit of the X.WED 2 I tested is that the peak can be removed to transform it ‘down’ to the sports-touring helmet. On a couple of occasions I found myself needing to ride my old BMW in this helmet and didn’t have time to remove the peak. 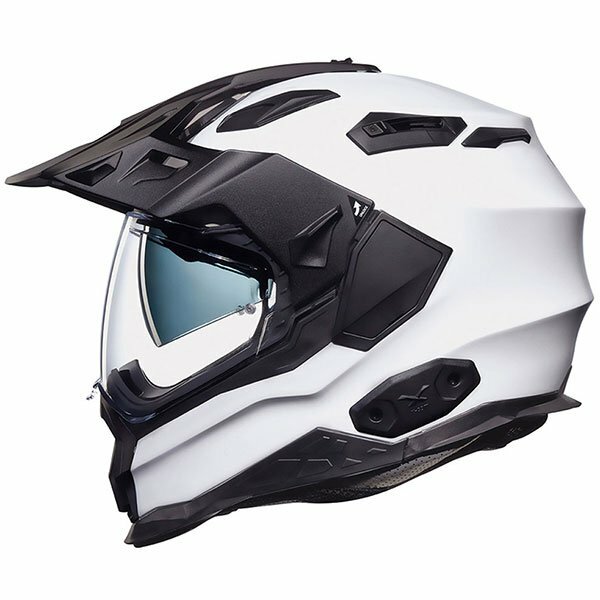 I found it handled the speed and riding position very well and the wind didn’t once try to rip my head back when I was doing shoulder checks (which can be an issue with peaked lids on sports bikes). 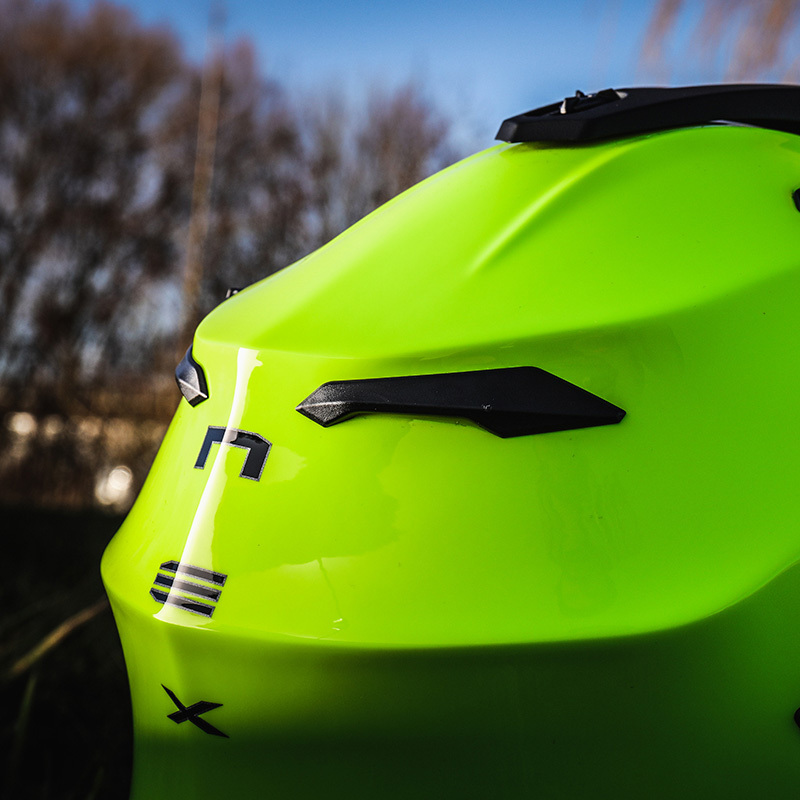 The X.WED 2 comes with a range of accessories, including camera mounts and quick-release pods for use with goggles. 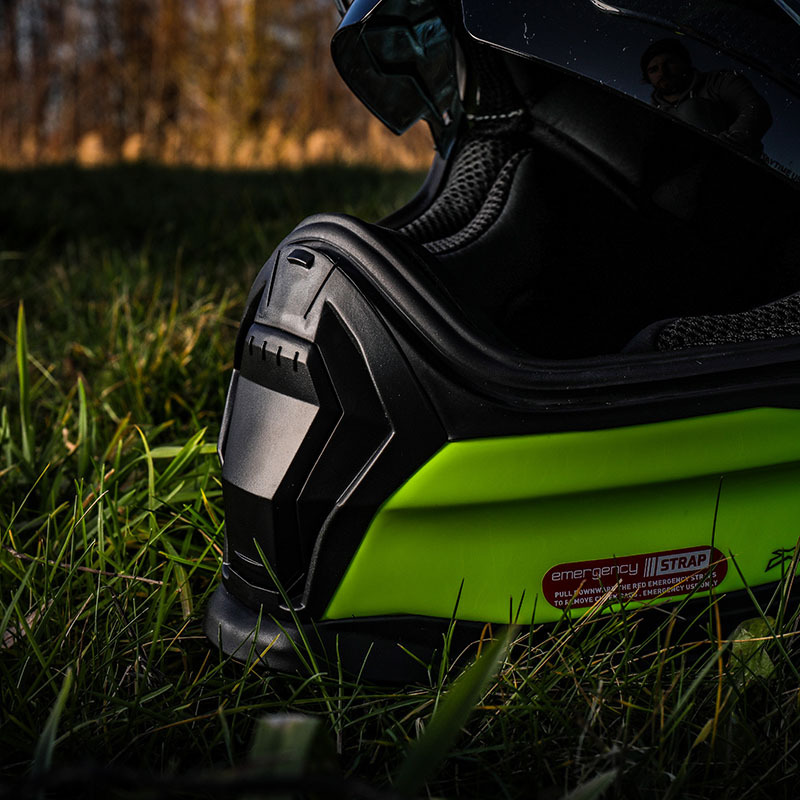 I’ve not used the majority of them, but the motocross-style chin vent cover, which allows more airflow, and the peak extender have been very handy when I’ve ridden off-road. The helmet I reviewed (size L) weighed in at an actual 1752g and handles its weight perfectly. 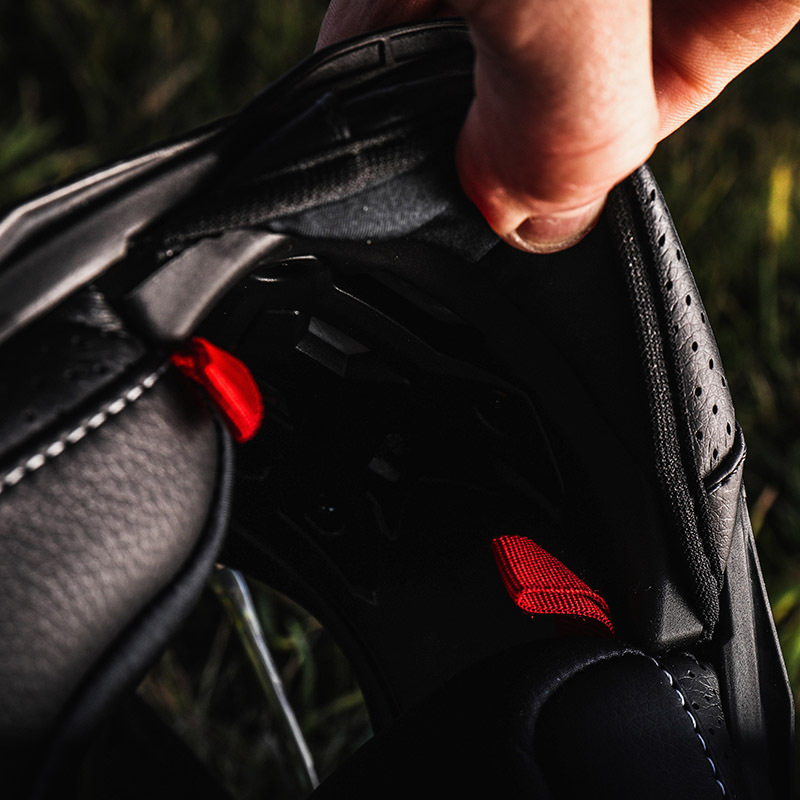 Vents in the peak enable wind to flow through it, reducing drag and twisting of your head. Overall the helmet feels comfortable and balanced while I’m riding. For purposes of comparison I dragged out my much-loved Bell MX-9 Adventure helmet, which costs half the price of the Nexx helmet, to see if the extra outlay was worth it. A few days of commuting showed me the Nexx was worth the price difference. In comparison every feature on the Bell felt cheap; the helmet was heavy and didn’t handle itself well when doing shoulder checks. The Nexx is good enough to give the premium brands a run for their money. The Nexx’s shell is made from multi-composite fibres to keep it light, the gorgeous supercar-like profile helps the wind flow perfectly around you and the removable interior is soft and plush. I usually sit on the borderline between a medium and large size, but needed a large in this helmet. The cheek and skull pads haven’t bedded in much, meaning the fit remains secure. The cheekpads are held in by poppers, which in my opinion don’t offer the most secure grip to the lid, and I accidentally released the poppers on the first couple of occasions I took the helmet off. The neck roll at the back of the helmet is fairly chunky and affected the way I put the helmet on, but once I’d worked out a knack it’s given a great fit. I found it best to angle the crown of my head in first then pull the chinbar down at the end. The chin curtain is very good at sealing out airflow, which was one of the factors I most noticed when I went back to the Bell and remembered just how much air that helmet allows in through the chin area. The X.WED 2 has plenty of vents, but sadly they are not the easiest to operate. I found all the vents – one each at chin and top plus two on the sides – impossible to open or close with gloves on. With the standard cover on the chin vent I found myself pressing the top of the vent trying to get it open, even though I knew it didn’t open there, and it also leaks a lot of air even in its closed position. The top vent is positioned under the peak, making it impossible to get my gloved hand up there to either open or close it. On the occasions I could get my hand up there the vents were so stiff I found myself pressing very hard against the shell to get a grip on it. I found myself endlessly fiddling to try and reach the two side vents, which were also very stiff. The good news is that the vents worked very well once I had set them in my chosen position – the problem came if I quickly needed to change that setting. Once up to speed the chin vent provided a flow of fresh air, though not vast amounts as the entry scoop is angled upwards as it would be on a race helmet that’s designed to work best when the rider’s head is tilted forwards. 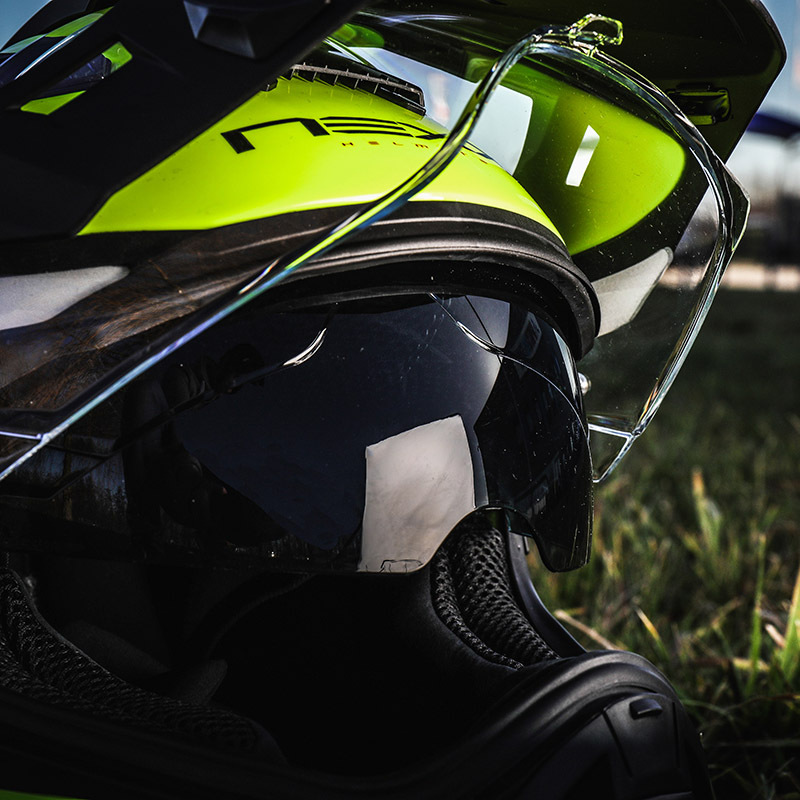 One way to increase flow through the chin vent is to fit the supplied motocross vent cover, which provides tons and tons of airflow – I would not recommend this in zero degrees, though. The visor is Pinlock-ready and an insert comes with the helmet, though I had to adjust the pins to get the insert to seat correctly. This was simple thanks to the adjustment screws on the outside of the visor. 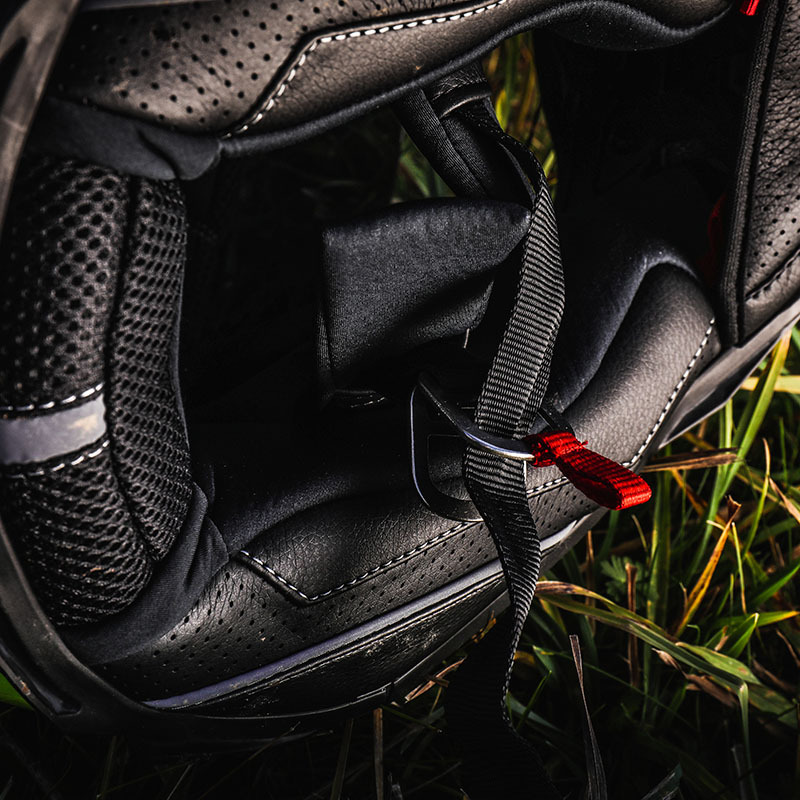 In winter, moisture would gather on the nose bridge area of the Pinlock anti-mist insert, which I think would have been prevented if the helmet had a breathguard. As well as the outer visor there’s an internal sun-visor. I’m not a fan of internal sun-visors in general, and I certainly don’t like this one. The shape is odd and I found it would curve directly into my eyeline. 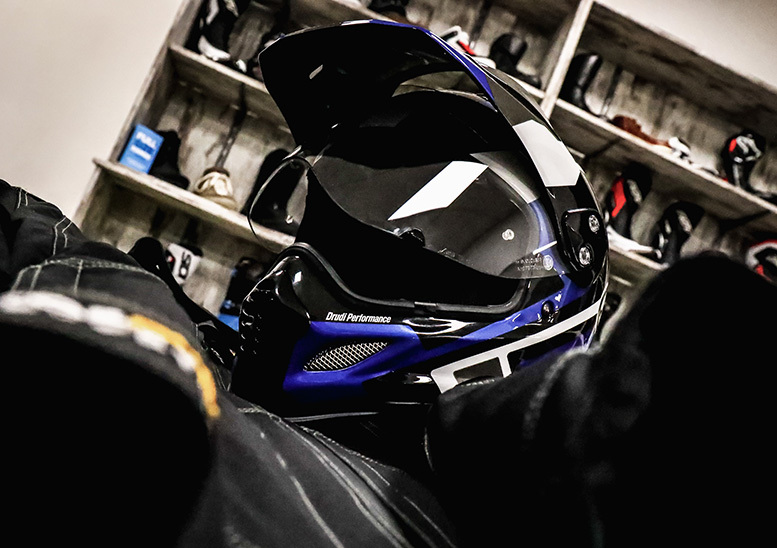 Even when fully down all I could see was the lower edge and the visor didn’t reach anywhere near my nose, even if I tried to adjust the helmet fit. 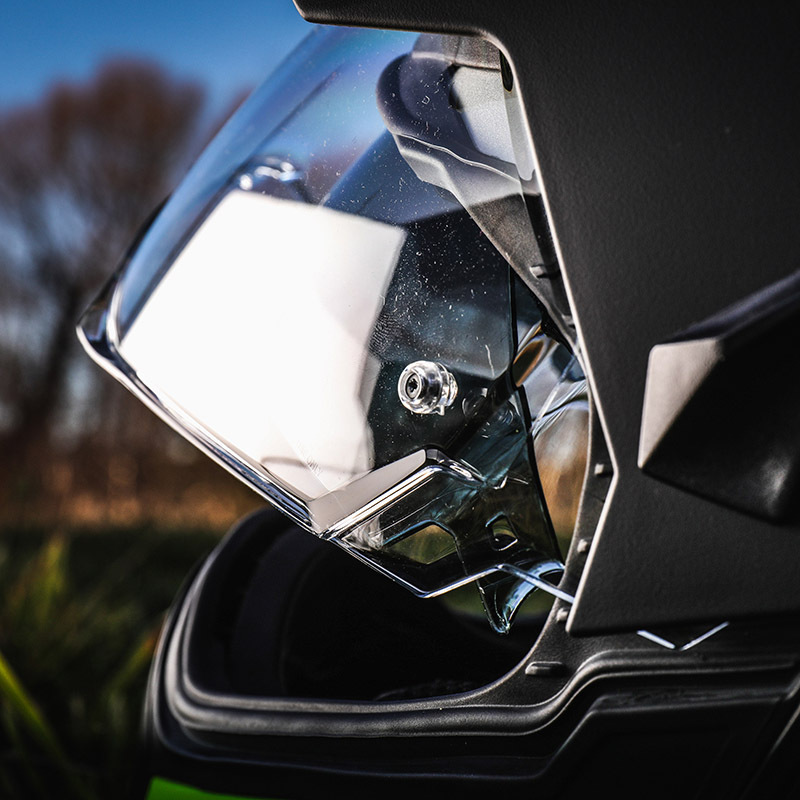 The inner visor also fogs up on request and the operating mechanism is clunky and noisy. I tried to persist with it, but eventually gave up and started using a tinted visor. Changing the visor became a problem, though. It requires twisting a lug off either side and they feel like they will break under the pressure. In low sunlight this helmet suffered; without the peak extender fitted the sun would shine straight into my eyes and the internal sun-visor only obstructed my vision. On numerous occasions I resorted to wearing goggles for my commute. The aperture for the visor is wide and provides vast amounts of peripheral vision, however it can only just accommodate goggles measuring 10cm in height – and even then I had to dig them out of the helmet to take them off. There’s a lot about the X.WED 2 that’s great, but I feel there’s also a lot that Nexx could improve if they decide to release an X.WED 3. 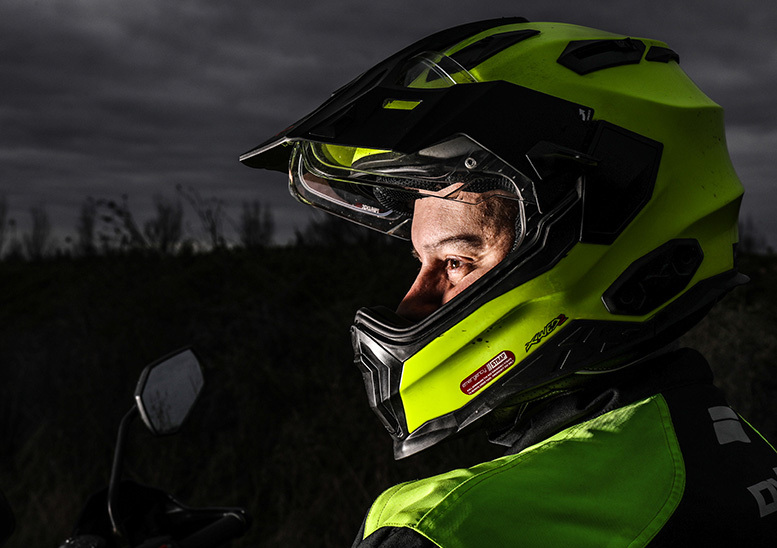 The aperture of the helmet is large enough to accommodate some goggles when off-roading. The internal sun-visor and slight condensation at low speed knocks the score down in this category. The venting is very good at getting cold air in and hot air out. However I found the vents were not glove-friendly and the front chin vent leaks air. 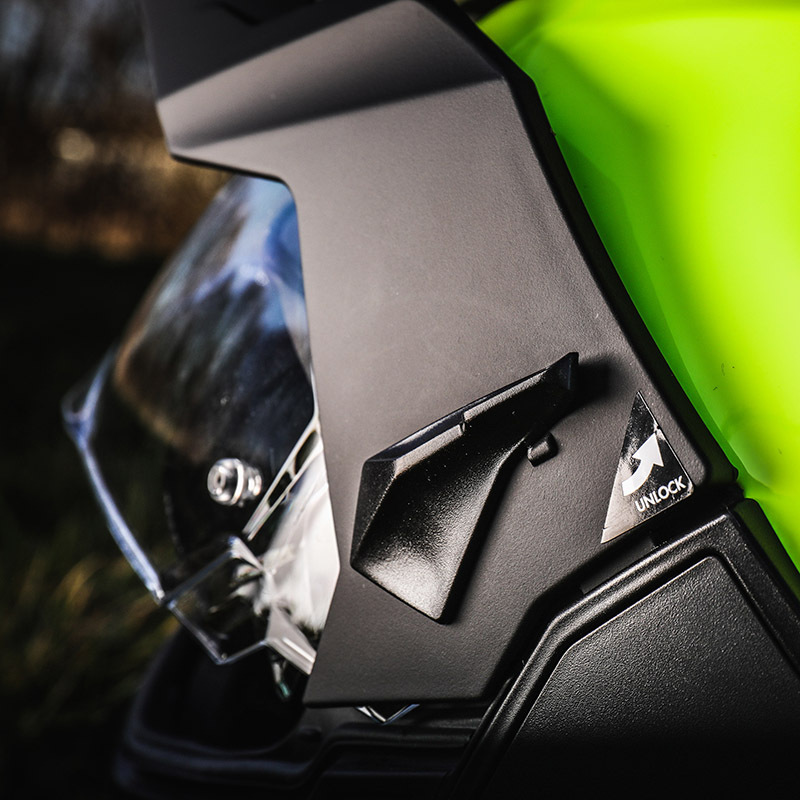 At low speed the chin vent can’t clear condensation from the visor, which then hinders vision. The helmet is a great fit and very well balanced. It has a slightly weird neck roll when putting on but you’ll get around that. 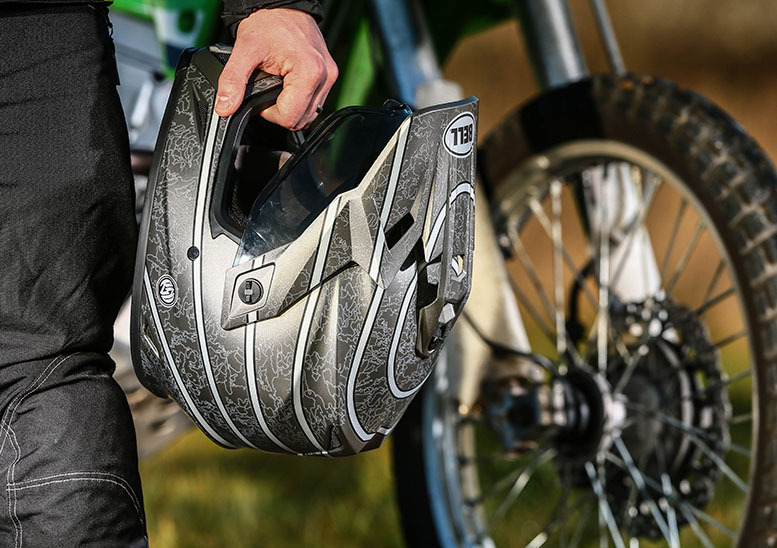 If you’re on the cusp of two sizes then go for the bigger size in this helmet. The helmet has been made very well. After 2000 miles of use there are no signs of failure or wear. The interior pads have not bedded in massively. The vents and poor visor changing mechanism have knocked the score down. 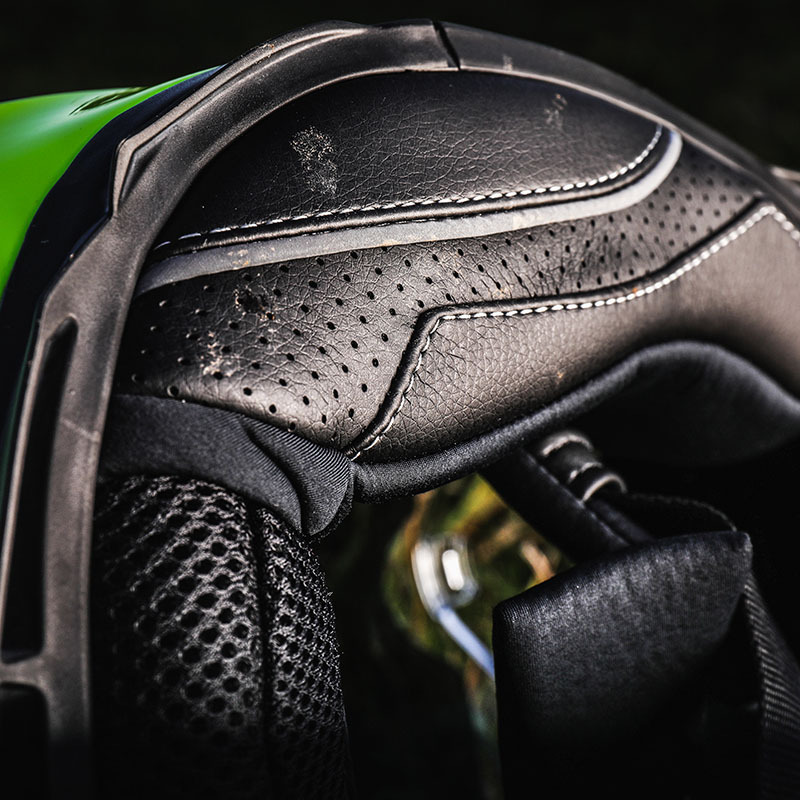 The helmet scores a full-house on specification, including emergency cheekpad release. It’s not the most obvious release system we’ve seen, though.